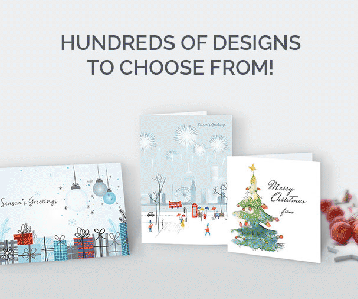 Click to view our range including Charity Christmas Cards (P & A coded cards). In 2018 our entire Premium and A ranges of charity Christmas Cards (those starting with codes P or A) will be offering our support to the following UK charity organisations, where a minimum of 10% of the card cost, not just the profits, goes directly to these UK charities. You are given the opportunity to spread the donation or select a single charity for your entire donation to go to. The charity notification will be printed on the card. You can read more about all the great community work being carried out by our affiliate charities, including the ground breaking scientific research being conducted by Cancer Research UK and how the British Heart Foundation are helping to beat Heart Disease. We don't forget our responsibility to our customers either and don't artificially increase our prices in order to accommodate larger percentages - every stage of our design & manufacture is made in the UK and we aim to keep our prices as competitive as possible, meaning we can still deliver great value whilst allowing you to donate more to charity directly. For those who wish to support another charity not listed, we can contact these charities and make a donation on your behalf - alternatively we can deduct a further 10% from the card cost and you can make the donation yourself. Please Email us if you wish to arrange this. It is almost that time of the year again; the Santa season is near! The time of caring, loving and giving back. What will your company do differently this time? How will you support your cause? How will you give back to the less privileged in your community? We are a family owned small business that has, for over 15 years, been helping companies like yours to give back to the sick, underprivileged and communities in need by donating 10% of your orders to a charity of your preference. Company Christmas cards specialise in charity Christmas cards that can be customised online to any shape, size and design with your logo. You can play with our online tools for your perfect design or you can pick from several of our P and A coded designs. We guide you throughout the process and offer support if needed. It is a rather simple and straightforward process, with a human touch! As human beings, we love and care for one another, our capacity for empathy is what makes us unique. Our ability to socialise, sympathise, comfort and console each other is a characteristic we inherited from our ancestors, and that makes us superior to all other animals. By giving back to charity, you get an inner satisfaction and peace of mind. It brings an inexplicable joy, comfort and gladness to your soul. Besides the human connection, giving back through our charity Christmas cards will provide a positive image to your company. In our society, people are more likely to associate with a company that has a good public image and vice versa. Thus, giving back via our cards means building a good image for your company which will help to attract more customers to your business. Donating 10% of your cost on charity Christmas cards shows a human and caring side to your company. The corporate world today is filled with "predators", so distinguishing yourself from the pack is vital since customers prefer companies with a human touch. A simple act such as purchasing a charity Christmas card can be seen as an indispensable step in distinguishing yourself as an organisation who cares. On a community level, your donations will provide real-life benefits such as hot meal to a homeless family, clean drinking water to a child, sight to a blind boy or girl, life-saving treatment to a cancer patient or antibiotics to sick children. Think of the impact your donation will have to your community. How does it feel to know that because of your actions, a life somewhere changes forever? That is the real power of your donation.